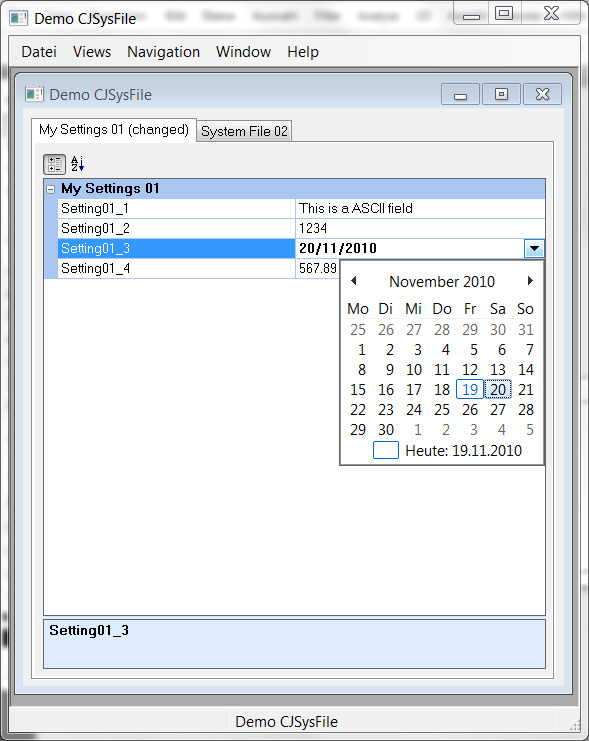 By using the cSysFileCJGrid class (subclass of cSigCJPropertyGrid) the creation of big system file management views becomes very easy. By defining the number and the DD of the file the class reads through the filestructure, creates a label/value pair for every field and adds the correct data binding. The demo is compiled in VDF 16.0.